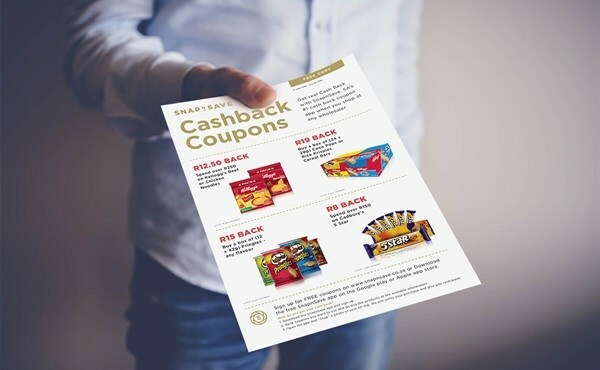 Locally developed cashback rewards app, SnapnSave, has launched in the wholesale trade sector, allowing independent traders and spaza owners to benefit from cashback rewards, regardless of which wholesaler they shop at. SnapnSave’s till-slip technology allows independent traders to get cashback on their purchases at any wholesaler nationwide and in turn, allows brands to promote to a traditionally costly and difficult to reach customer group. Traders register on the app, purchase featured products at wholesalers nationwide and then take a photo of their till-slip via the app to receive cashback into their e-wallet. Funds can be cashed out via EFT or ATM. The Cape Town-based company is helping its brand partners engage with and promote to independent traders, a traditionally difficult sector to promote in. SnapnSave has partnered with some of SA’s biggest manufacturers like Tiger Brands, Kellogg’s and Johnson & Johnson to target South Africa’s informal trade sector made up of over 130,000 independent traders. In addition to featuring wholesale products on the app, SnapnSave is also distributing a physical broadsheet to further promote their brand partners. After having launched in 2015, SnapnSave attracted investment from venture capital firm Kalon Venture Partners and Smollan Group in 2017 providing the ability to go into the wholesale market.